During the Nintendo Q&A for investors last week, an investor said it was important to increase the number of titles Nintendo puts out for consumers in a year, and asked whether it’s possible to increase spending for research and development (R&D) to do so. 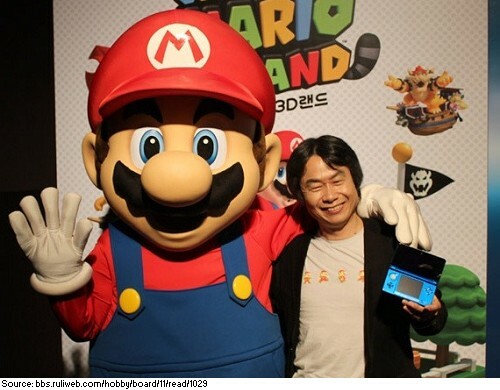 Shigeru Miyamoto, fellow at Nintendo, says Nintendo is working with other companies to develop software on a larger scale than what could be handled within the company. Miyamoto says it’s crucial to maintain the quality of Nintendo software, thus they aren’t focused on increasing the number of developers but rather nurturing those that are working at Nintendo. Q12. The “expanding” part of “expanding the number of people who have access to Nintendo IP” may be important, but looking at third-quarter software sales and the presence of two titles with sales of over 10 million units in a single quarter, it seems pursuing “depth” is also important. I think it is important to provide more software for consumers who have already purchased Nintendo Switch. I’d like to know your software lineup for next fiscal year and after, and if you’ve considered the possibility of increasing R&D spending to increase title count going forward. I have a very positive attitude about R&D investment. Because we are cooperating with other companies on software development, weʼre working on a larger scale than what can be handled solely within the company in terms of managing software development. But even as we expand the development scale, it is important that we will firmly maintain the Nintendo-made quality of the software. I know some people say we just need to hire more developers. We arenʼt merely focused on increasing development staff, but we are focusing on nurturing more developers adequately within Nintendo. I want us to actively invest in the products we develop, in order to maintain the quality we desire.